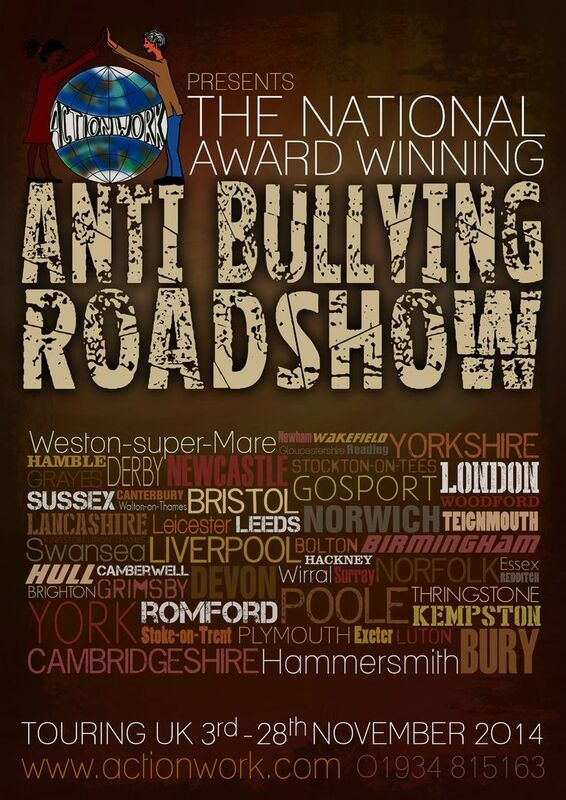 The 2nd-27th November marks Actionwork’s anti-bullying month, and 16-20th November is national anti-bullying week. Actionwork have a theme of Cyberbullying and E-Safety this year where they aim to raise awareness of a problem that is expanding daily as we see cyberspace constantly expanding at a rapid pace. Anti-bullying weeks theme is ‘Make a noise about bullying’ to raise awareness of bullying and encourage children to talk out about their issues. This week is designed to get everyone involved in raising awareness for the fight against bullying, the national campaign aims to support parents/carers, teachers and young people who may be involved in or affected by bullying. The Key Aims of the week are..
To empower children to make a noise about bullying – whether this may be online, offline, happening to them or someone else. To raise awareness of the impact of bullying on children’s lives if they don’t tell anyone it’s happening – or if they are not given appropriate support – with a focus on the impact on mental health. There are many ways that you can get involved this anti-bullying month including downloading the anti-bullying week campaign pack, helping fundraising, sharing the logo on your website and/or social media and buying official posters, stickers and wristbands from the Anti-bullying Week website. Here are some top tips for parents from the Anti-Bullying Week website. You may be tempted to tell your child to retaliate but this can have unpredictable results. Your child might get into trouble or get even more hurt. 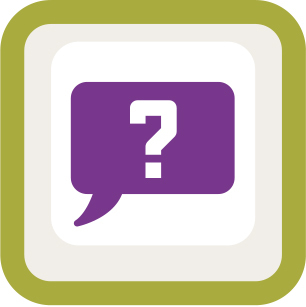 Rather – role play non-violent ways they can respond to children that are bullying them (e.g. ‘I don’t like it when you say that to me / do that to me. Stop.’); show them how to block or unfriend people if the bullying is online and help them identify other friends or adults that can support them. 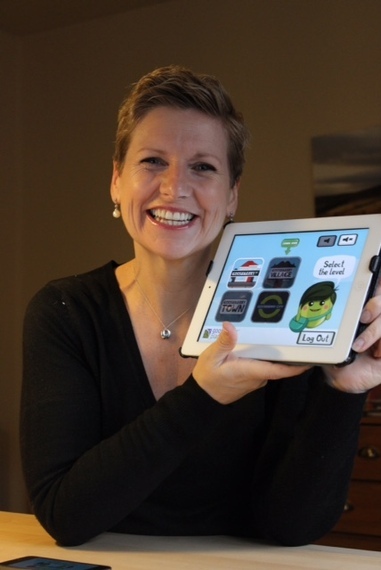 Gooseberry Planet is excited to announce the launch of 3 new apps purely for the schools market, teaching online safety in a completely unique way. 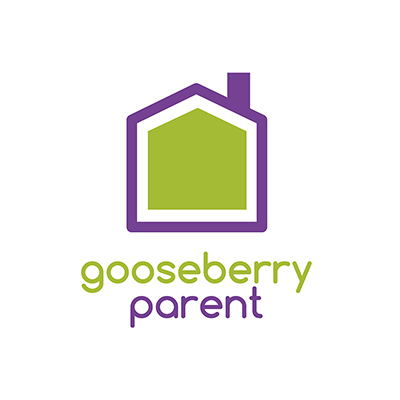 The launch of the three new apps, Gooseberry Student, Gooseberry Parent and Gooseberry Teacher marks the beginning of a new journey into the education industry, working to educate as many students, teachers and parents as possible about how to be safe online. We are working hard to create a network of schools, institutions, parents and students that are all working together to make the online world a safer place. The ever growing virtual world can be a scary place and we feel that this is something that is extremely important to learn about considering how young children are when they start using online resources, Gooseberry Planet’s new apps are aimed at the PSHE market which will change the standard tedious lessons into a fun and exciting way of learning through game-based learning, whilst at the same time educating the teachers and parents and making them able to monitor their children. The launch of these new apps comes at an exciting time for Gooseberry planet as we have just moved into our first office, Gooseberry Towers. 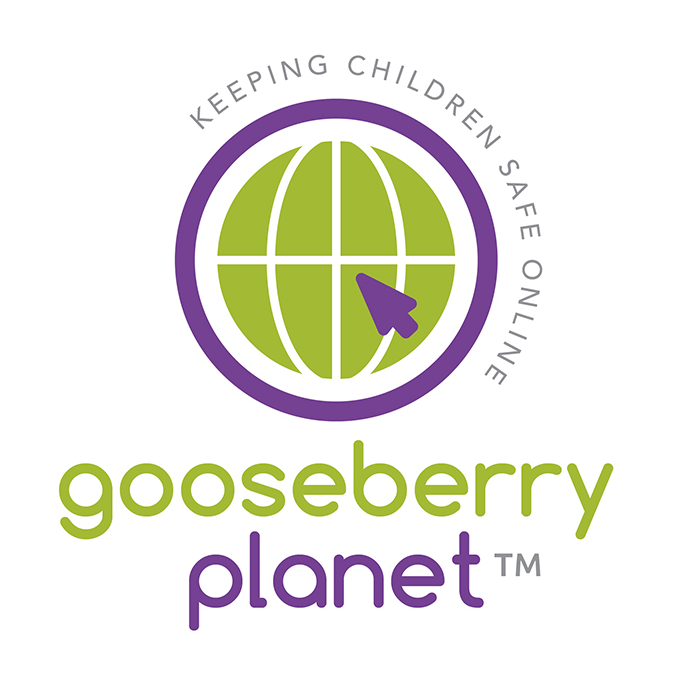 This will enable us to expand and grow, in order to get the word of Gooseberry Planet out and start educating our children about online safety. We are also now proud members of the UKCCIS (UK Council for Child Internet Safety) which are a collective group of over 200 organisations drawn from across government, industry, law, academia and charity sectors that work in partnership to help keep children safe online. The council was founded in 2010 and has since had a lot of excellent achievements, for example the implementing of an unavoidable choice for home broadband customers about whether to turn on parental control filters. We feel that this council is extremely important and we are delighted to be a part of it. March 25th was a day that changed my life forever. I thought I was the last person in the world that would be given the C diagnosis. I come from a farming background and I was bought up on a farm in North West Devon. The farm was self-sufficient and Dad grew all our own veg. I have always been health conscious and eat healthily – yes there was the odd glass of wine but no different from any other female. I was the fittest I had ever been and I was training for my first triathlon. I even now try and justify why it shouldn’t have happened to me, and always tell people I was fit and healthy, almost embarrassed by it all. So many things went through my head; how am I going to survive? I worked for myself; I’m a single mum with just my income. I had also been working on a new idea for an app but my life just stopped in its tracks. I thought about death, my children and who would look after them? How the hell was I going to cope? My brain and thoughts were just a mush of everything and nothing. Total confusion of where I was and how the hell did I get there. The day before the operation was one of my worst days emotionally. I felt so lonely, and the realisation that I was very much alone in this battle hit me. I had surgery on the day I was meant to be doing the triathlon. I had a lumpectomy and a 23mm tumour was removed from my breast, this was followed by chemo and radiotherapy. Since then I have been having regular scans and mammograms and will be taking Tamoxifen for the next 10 years. It hit my eldest son, Zach, the most -when I lost all of my hair, he shaved his off too and raised £1300 for Cancer Research UK. One day he refused to go to school as he was terrified of leaving me on my own in case I fainted. My youngest took it in his stride, but when he wouldn’t do as he was told, Zach would get frustrated as he could see it was exhausting me. On one occasion we were all arguing and I had to hold on to the stairs so I didn’t fall over. We all ended up on the stairs crying our eyes out because it was crap. 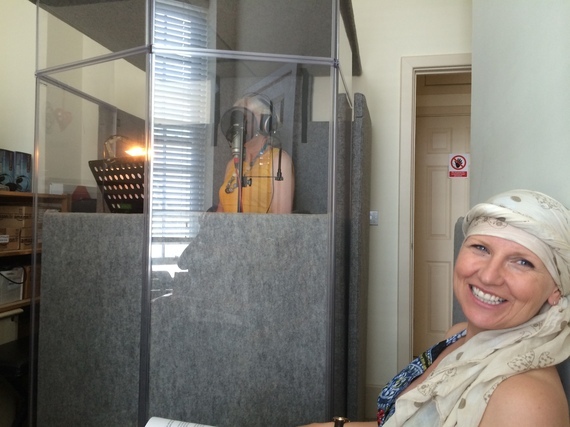 Trying to muddle through – every time I had chemo someone would stay in the house for seven days to help with the boys. For the first time in my life I had to rely on others to get me through, as I didn’t have the physical strength to do so on my own. One thing I started to realise very quickly was that I needed to occupy my mind; I could see myself heading for a down-hill spin of self-pity. I struggled with talking openly to my friends as I didn’t want them to start avoiding me because all I spoke about was myself and cancer. I didn’t have a partner to hold me and say, it’s okay. I sat on my bed trying to get up after a chemo session and just cried wanting someone to hold me. Every barrier I ever had had been stripped away from me and I was bare. Every emotion I had was now laid out there. This is when I decided to pick up the app idea again and make it happen. I wanted to create an app that would teach kids about the importance of online safety but in a fun way, so I created a game – Gooseberry Planet. The developers and designer knew the situation and I only worked when I could think clearly. It took nearly a year to finally get GP on the App Store. I really don’t think it would be what it is today without the cancer as it is very much part of it, both come hand in hand. My work kept me focused and it still does. I have just been short listed for a Virgin Media Business award. I am in the top 50 business out of 700 start-up businesses. I am hoping I will get through to the semi-finals and then to the finals where I will pitch in front of Richard Branson. Once treatment had finished and my hair was growing back I decided to go out into the dating world which was one of the scariest things I had to do – I thought ‘no one wants to date someone that has had cancer!’ But in December I met someone and we are still together. I don’t have time now to think too much about my cancer. I still get very tired and have to manage my fatigue. A few weeks ago I did too much and my body just said nope, you are not moving – I call them my cancer days. They are getting less frequent but it still raises its ugly head every now and then. 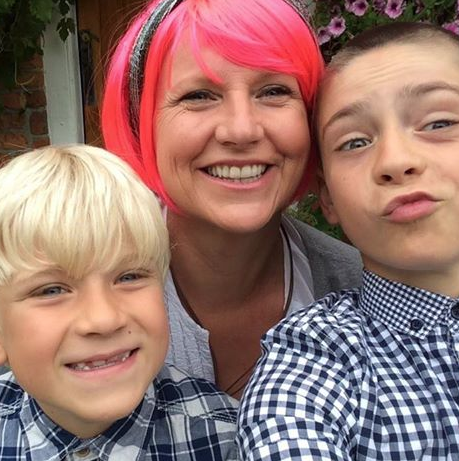 I try desperately to keep the thoughts of cancer at bay – I have to keep going, not just for me, but for my boys. I have always been a fighter in life, but this was and is the hardest fight I have ever had to take on.